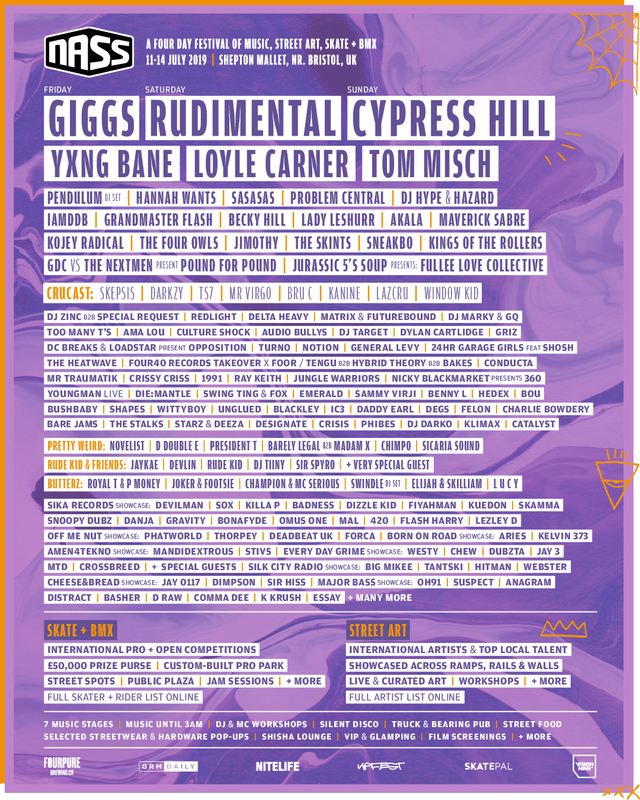 The count down has started for one of the UK’s biggest Music, Art, Skate and BMX festivals, NASS Festival, held at Bath & West Showground, near to Bristol. The event will host some of the biggest names in music alongside a line up of excellent skaters and BMXers for a Skate Street Invitational, BMX Park Invitational and BMX Street Invitational. Further press information including assets can be found here www.nassfestival.com/press.